Occasionally our clients want our White Glove Service. These are people who have chauffeurs or just don’t want to do the work of filling out our simple straight-forward questionnaires and carefully following our instructions for preparing your Premium Plan Attachments and Financials. Some clients don’t mind asking friends for help. We are always available to answer specific questions on everything in our process, including questions on our questionnaires. And with our normal service, you never pay extra for this. It’s just a part of our World Class Service. We have people that struggle with English that get through our questionnaires just fine. So, nobody should need our White Glove Service. But some people (who would never think of mowing their own lawn) just want us to do it for them. Maybe it’s just not their thing to read directions and fill out questionnaires. They may be too artistic to think analytically, they may think their mental energy is better spent on other things, or whatever. They like the idea of other people doing this kind of work for them. Maybe they don’t want to ask their friends for a little help. Fine. We can accommodate that. We’ll do it together. Level 1—We work with you on the phone, going through our questionnaires with you, helping you answer each and every question and (if you are on our Premium Plan helping you understand how to prepare your Attachments and Financials for your 501c3 application). Level 2—We take your questionnaire(s), and work with you by phone. We enter all your answers on the questionnaire(s). You don’t even return your questionnaire(s) to us! For Level 3, we’ll draft your Attachments and Financials, working together with you. Of course, we need your input. We can’t just make up things for the IRS! Only you know what you want your nonprofit to do and how you want to do it. We’ll talk about it together and draft your Attachments for you and prepare your Financials (financial projections for the IRS). On the Financials, we can’t make up any figures. They have to come from you. But we can work together to develop those figures, and we will prepare the actual Form 1023 pages needed for the IRS. For past years (if yours is not a new nonprofit), you will have to provide us actual figures from your own records, bookkeeper, or accountant. 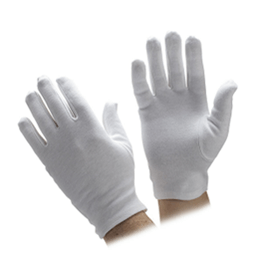 ***Other White Glove Service available—just ask. White Glove Service for CSR (Charitable Solicitation Registration)—Double the normal cost, and costs will vary by state. You can pay by debit/credit card at 501c3GO.com/internetsignup/make_payment.php.